Few games that take place in a post-apocalyptic setting are as relaxing as My Time at Portia. As a young adult, you move to Portia to take over your father’s old workshop, aiming to help improve the town and become the best builder around. The premise seems simple enough off the bat, and does eventually get to a relaxing simplicity as you get your feet under you, but hidden inside the simple beginning are a few complexities that show that My Time at Portia is so much more than just a workshop simulator. Almost right off the bat you’re able to explore a vast world, completing missions for the townsfolk of Portia by farming, exploring the mines, and fighting monsters. Your very first mission is to prove yourself as a builder by building an axe and a pickaxe, and a furnace used to turn ore into crafting materials. Your second mission? Build a bridge to open up another area to explore. It was during this mission that I quickly realized that the blueprints can get pretty complicated. This early mission in particular requires you to complete several steps like gathering and mining materials to build new workstations that will allow you to craft the parts of the bridge. While I eventually reached a point in the game when I felt like I knew what I needed to do and how to best prioritize my time, the initial direction the game provided me was messy and unclear. It made my initial experience less enjoyable for me by not really giving me the opportunity to focus on one task at a time early on. During my first week, I felt like Portia’s in-game days were slipping by quickly while I struggled to figure out what I needed to do to complete the bridge — a task that should be basic and straightforward. Alongside this, the controls took some getting used to and the game felt jittery and froze at random times — the occasional delayed reactions to button presses took away from my experience as well. I’d also like to mention that with the pre-release build I played, load times weren’t the greatest on the Switch. This often meant that if I lost focus waiting for the next area or waited for a new day to load, it was likely that I would lose some precious minutes of my day. Don’t let these particular gripes put you off trying out the game though, as I’ve been assured by the team behind My Time at Portia that they’re hard at work improving the loading times on the console, and we can expect a patch to improve them as close to launch as possible. Things fell into place pretty quickly after that first in-game week had passed. I managed to upgrade my axe and pickaxe to tackle bigger jobs, and I started to get the hang of things and fell into a rhythm that became pretty relaxing. Exploring the mines quickly became my favorite activity — digging holes to find ancient relics and ore is as simple as scanning the area with a special set of goggles and digging away with the pickaxe. I soon learned that I needed to go into the mines with a near-empty bag, since the number of different relics and materials I acquired quickly filled it up, requiring me to abandon items to free up space, or waste precious time trekking back to my workshop to store them. I could spend money to increase my bag slots, but currency is very hard to come by early in the game. I still haven’t quite figured out a steady form of income in Portia, but every time I required money for an activity or item, I could usually scrounge up enough stuff to sell in order to get the amount of money I needed. In a simulation game like this, fighting isn’t usually something that’s a necessity, but in My Time at Portia there’s no way around it. Certain materials can only be gathered from monsters, and certain quests require combat. Fighting enemies isn’t boring by any means — beating on colorful llamas with a rusty pipe isn’t exactly the first thing that comes to mind when I picture a relaxing game, but it sure is entertaining. Other enemies have some strange and unique designs too — the sea urchins tied to balloons and giant Mr. Ladybugs sure keep things interesting. 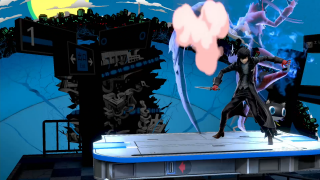 The combat wasn’t perfect, often falling into the repetition of swinging a weapon until it was time to dodge-roll out of the way, but the redundancy made it relaxing, and again, it wasn’t boring. 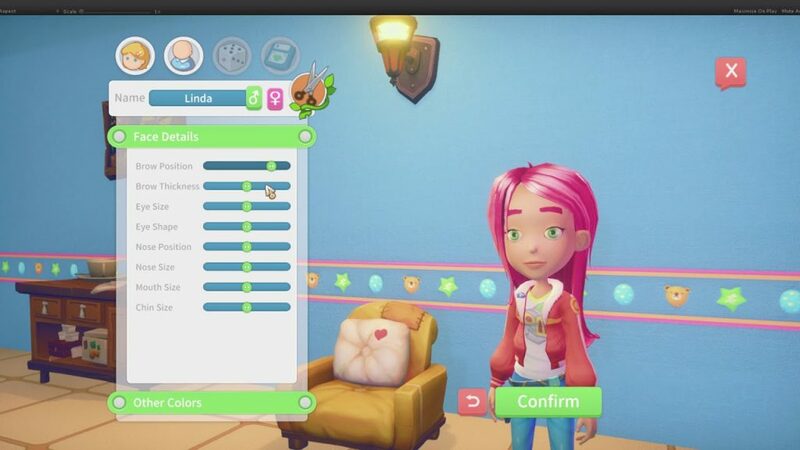 The writing in My Time at Portia isn’t going to win any awards, and the cast of characters feels pretty dull when compared to a game like Stardew Valley or Harvest Moon, but at least their designs are unique and fun — when you look past how unsettling some of the characters can appear. The character creator offers a lot of unique options on top of the standard shaping and positioning of features as well, allowing you full control over the color of your hair, eyes, and skin — and letting you change the length of different parts of your hair. While experimenting with this I came across something disturbing. I noticed that while adjusting the shape and size of the eyes, what I was really changing was the shape of the eye-holes in the character model, inside of which the model of the eyeballs sat. Widening the eyes as far as I could revealed a pretty clear look at at the entire eyeball, giving my character a mannequin-like, eyelid-less look that didn’t exactly do the already-disconcerting character model any favors. 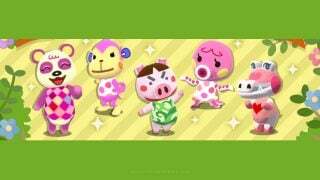 This isn’t forced on you, but it opened my own eyes to little quirks of the character models and style. I can see how My Time at Portia’s art style could be sold as adorable at face value, but in all honesty it just looks dull to me — something robotic masked by a thinly-veiled attempt to look lively and wonderful. 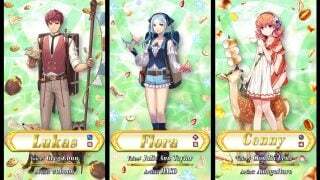 If you look at the characters or most enemies for too long, the initially unique designs appear somewhat unsettling after a while. As a new entry in the genre, it attempts to set itself apart from others that came before but lacks its own charm. For a game that encourages you to play it for lazy hours on end, that lack of aesthetic appeal builds up over time. Despite my personal feelings about the art style, My Time at Portia is, at the very least, a relaxing and enjoyable workshop-farm-mining-adventure simulator. It’s easy to spend time with it and fall into a rhythm of collecting, farming, fighting, or mining and lose track of time, especially when you get farther into the game. 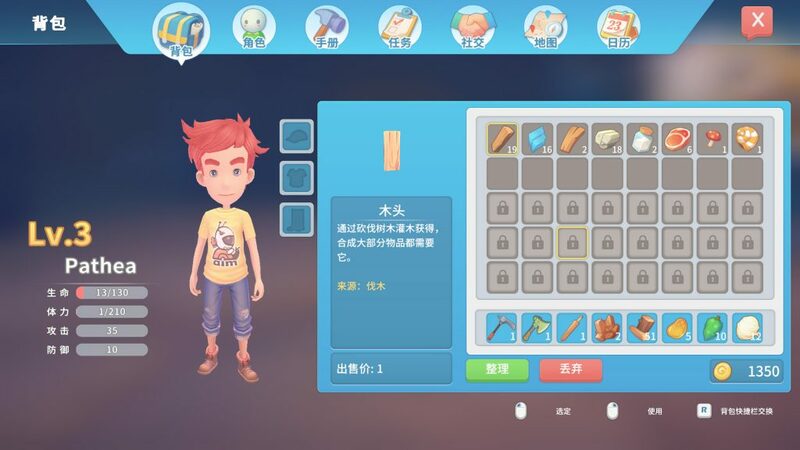 Once you get the hang of gameplay and everything starts falling into place, you’ll find that you’re able to reliably build the items you need to complete missions — and My Time at Portia becomes a much more wonderful experience all around. 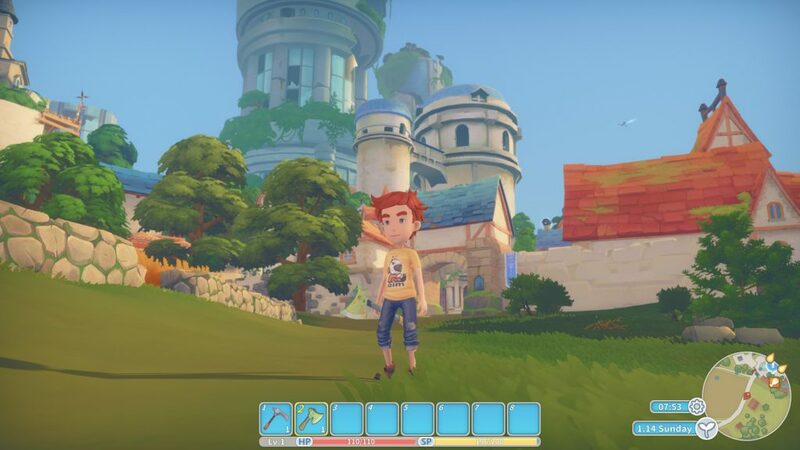 My Time at Portia launches on Nintendo Switch, PlayStation 4, and Xbox One on April 16th.